Fire TV devices support standard Android notifications through the Android Notifications API. These notifications appear in a "Notification Center," as described below. A notification is a message to your users that appears outside of your app's user interface. 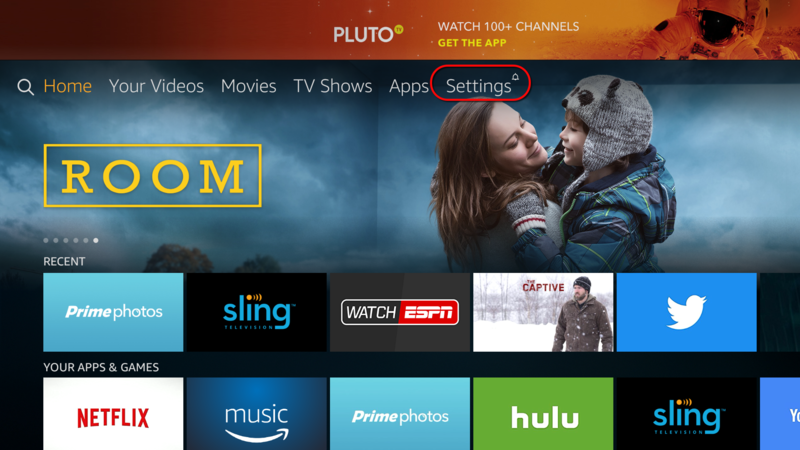 Amazon Fire TV supports the Android Notification API, with some limitations. You're probably used to receiving messages from the various apps on your smartphone. 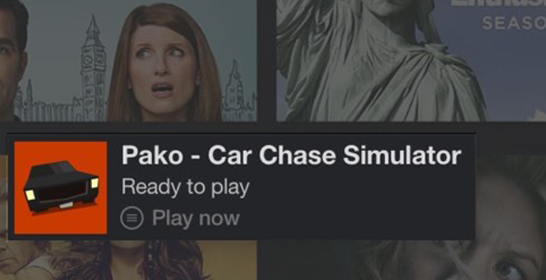 Notifications for your Amazon Fire TV apps can provide the same kind of user engagement. The notifications are a way of reaching out to users to encourage them to re-engage with your app in some way. Tip: Note that notifications are not Recommendations. Recommendations use a different Android API to recommend content to users. 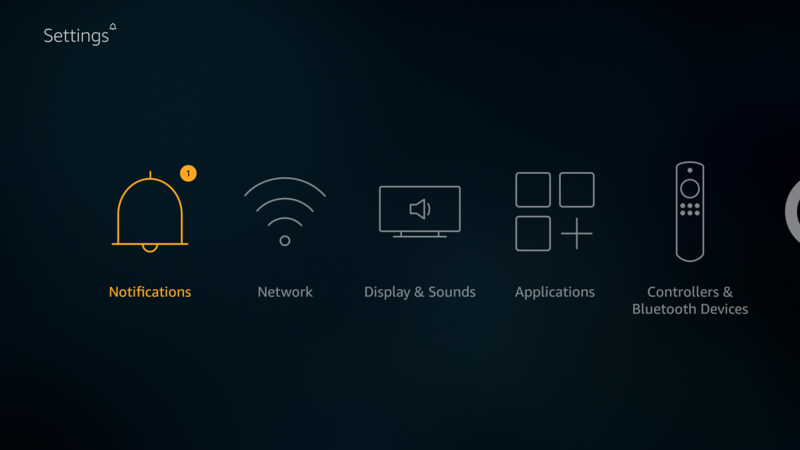 Recommendations appear directly on the Fire TV home screen in a row called "Recommended By Your Apps". If you want to recommend content related to what the user has been watching, send a recommendation. 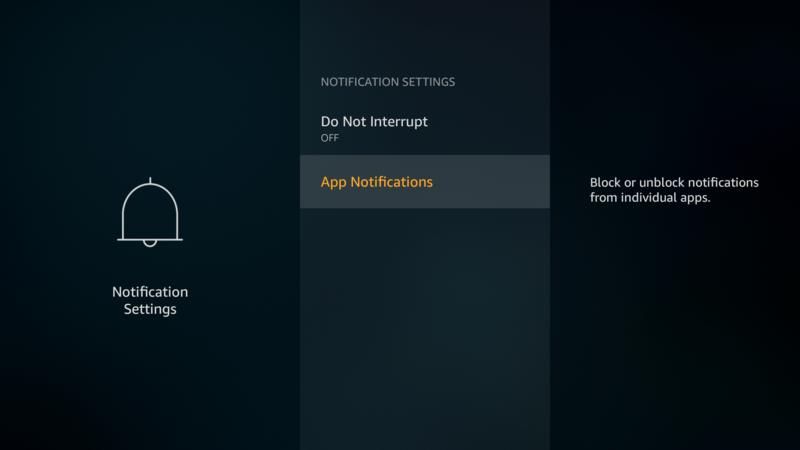 Amazon Fire TV supports Android's heads-up notifications. Typically on Android devices, heads-up notifications are floating windows that appear at the top of the screen and allow users to interact with the window (such as receiving a call while you're in another app). On Fire TV, heads-up notifications appear at the bottom of the screen and fade away after a few seconds. Some interaction is allowed while the notification appears. For example, users can click a button or dismiss the notification with the Back button. Progress displays and stacked notifications are not supported on Amazon Fire TV. 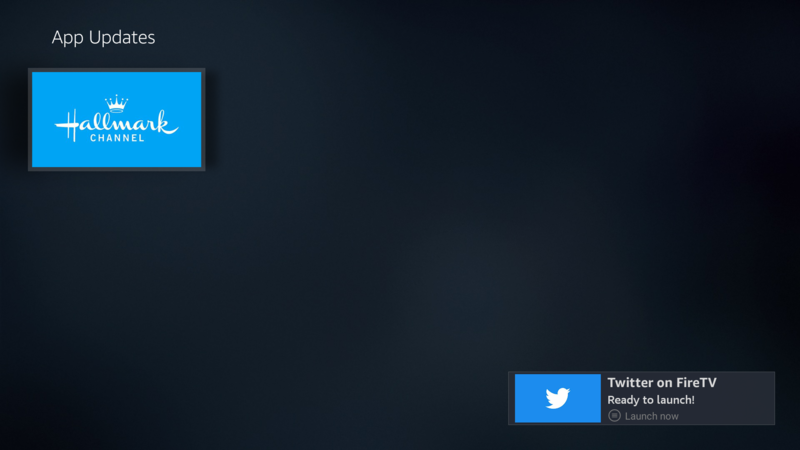 Regarding layouts, heads-up notifications are limited in height to normal layouts only (there are no expanded layouts). Though rarely used, Fire TV also supports toasts. Toasts are small pop-ups that appear within your app briefly and then disappear, with no ability for the user to interact with the message. Unlike heads-up notifications, toasts are not stored within the Notification Center. Standard notifications are informational in nature and do not interrupt the current foreground activity (unlike heads-up notifications, which pop-up in the bottom-right corner of the screen). Notifications from your app are added to the Notification Center as soon as they are raised. The Notification Center appears under the Settings menu. When users have unseen notifications, a little bell appears next to Settings. Within Settings, users select Notifications. This opens what is referred to in the documentation as the Notification Center. The Notifications Center arranges the notifications in a single list ordered by most recent first. 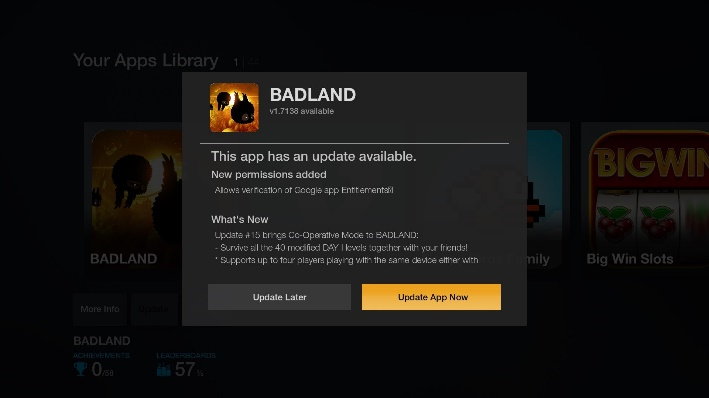 The Amazon Fire TV Appstore client itself will send notifications when your app has an update (hence you don't have to worry about pushing these kinds of notifications). In the following screenshot, there are two apps that have updates. When users click the icon, they see the updates available for the app. Users can choose to update the app or not. Notifications should contain enough information to convey the reason for the notification. They can also include an optional intent to launch when the notification is selected. For example, your notification can allow the user to launch your app with a deep link to the specific activity related to the intent. When the update finishes, the user is prompted to launch the app. Users can also turn app notifications on or off on a device-by-device basis. (More granular notification configurations are not possible.) Users can control app notifications by going to Preferences > Notification Settings > App Notifications. All notifications appear in the Notification Center until the user engages with the notifications, dismisses them, disables notifications for the app, or until the app removes them. 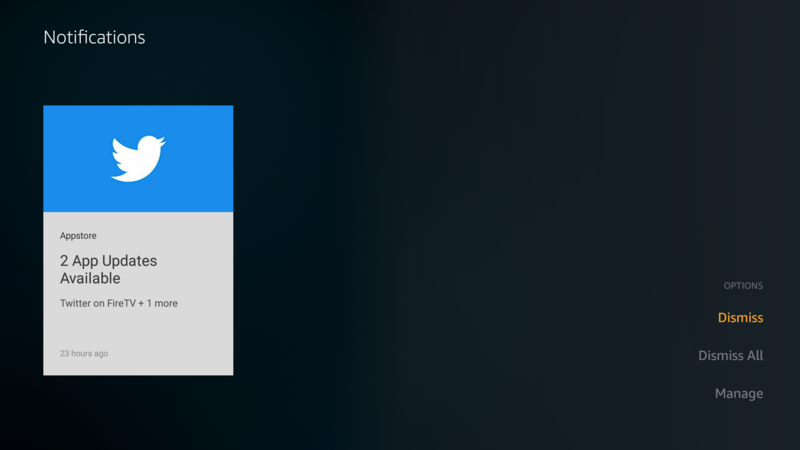 A notification that was not dismissed while displayed as a heads-up notification will appear in the Notification Center. Each notification indicates the time or date it was received. As soon as a user visits the Notification Center, whether to click on a notification or not, the bell icon on "Settings" is removed. The following table lists requirements for notifications. For code samples and technical instruction on how to create notifications, see the Notifications in the Android documentation. These notifications appear as small popups in a corner of the screen and can be raised over any content that is on the screen. System notifications will also be stored in the Notification Center (unless users dismiss them in the initial display). Amazon Fire TV also provides notifications when your app has an update. These notifications aren't something you create with your app but rather are triggered by the Fire TV appstore client. Fire TV creates two types of app update messages. A "Required Update" message is a visual prompt on an app icon, indicating that there is a new update available. Another update message is presented to users though an on-device dialogue box. 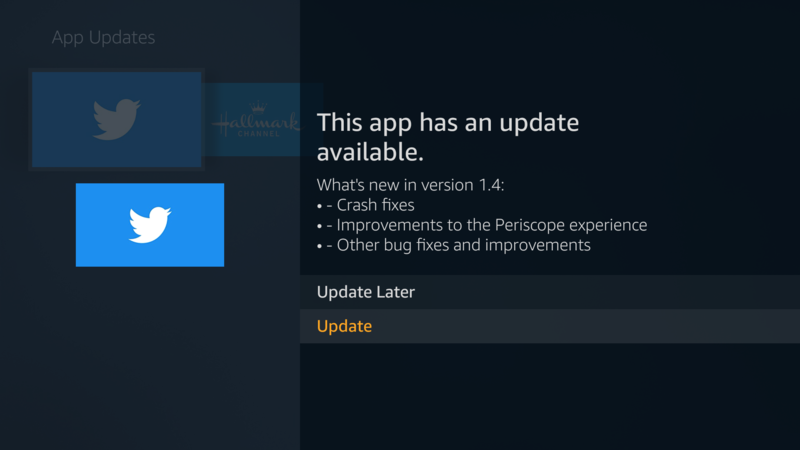 When users start a new session in your app or game, they are presented with the option to "Update Now" or "Launch without Updating" along with details describing what’s new in the update. In the past, Amazon Fire TV included a custom notifications API designed for TV use. As of Fire OS 5, the Amazon Notifications API is deprecated. If your app uses the Fire TV Notification API, those notifications will continue to work, but that API will be removed from the platform at a later date. If your app uses the Amazon Notifications API, we strongly suggest you move to using the standard Android (Lollipop) notification API instead. Remove all references to AmazonNotification and AmazonNotificationManager as well as to the package com.amazon.device.notification. These can be replaced with the stock Notification and NotificationManager classes in the Android notification API. References to the AmazonNotification.setType() method and the TYPE_INFO and TYPE_MEDIA_INFO constants should be removed. Android notifications do not specify these types.